I can't believe this is the first time i've posted this year - time is going far too quickly which is probably why i've still got so much uni work to do after putting it off for the past month! I didn't buy too much in the Christmas sales and as usual managed to find something that was full price to buy instead! This is my new H&M bag to replace this one which is looking a bit old and worn out. It was a steal at £12.99 and reminds me of a Zara one I have with the two different textures on the front. I also love the gold zip and it feels really good quality as well as fitting in lots of the usual rubbish I like to carry around! I haven't spotted it online yet but it's available in store in both black and pink and is perfect if you're looking for a smaller bag for nights out and shopping. LOVE this bag and can't believe the price! Great find! This is such a pretty bag and something I've been looking for as mine is to big and this might be the perfect size. This bag is everything! What a bargain!! That bag was a complete bargain, I love it! My sister has this bag, it's great isn't it!? 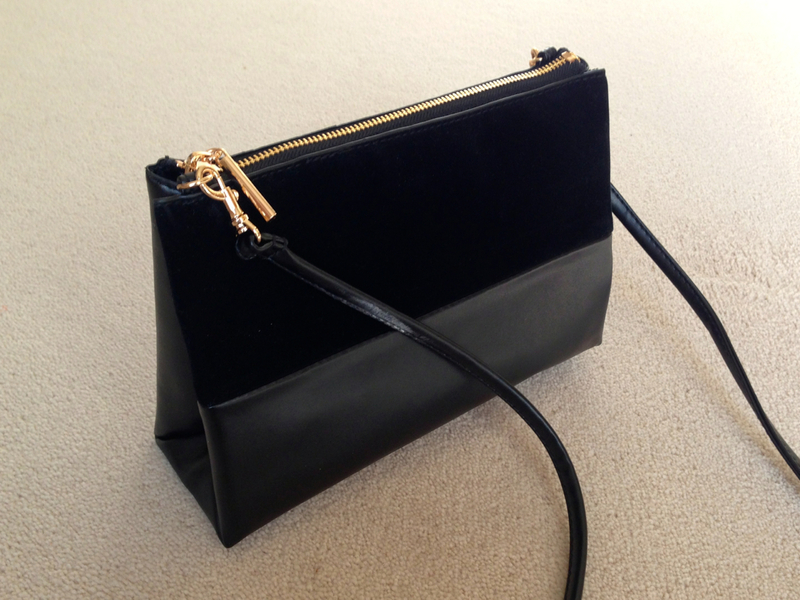 a girl can never have enough of black bags! :) love this one! That's such a pretty purse! That's a really pretty bag!! Maybe you want to have a look at my blog also?